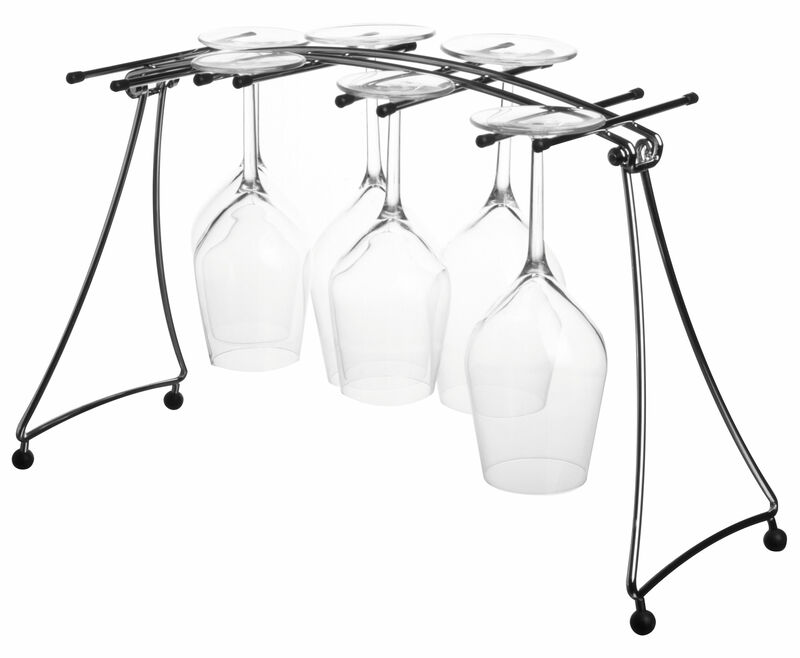 Let your tasting glasses dry without worry! Drying rack for 8 tasting glasses. Legs fold flat for easy storage. Chromed metal. Rubber tips.